Ever wonder what legislative activities ASCLS participates in that benefit the laboratory? 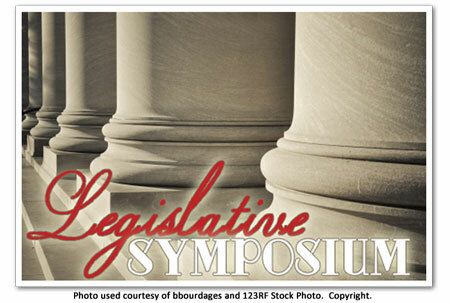 Legislative Day is an annual two day symposium that addresses current legislative and regulatory issues that affect the profession. Each year the symposium is held Mid March in collaboration with other laboratory organizations and has been going strong since 1989. The first day of the symposium introduces the issues impacting the profession and the second day includes visits to Capitol Hill to discuss these important concerns with our legislators. As members, you have probably had colleagues ask what ASCLS has done for the profession. Rick Panning, Chair of ASCLS’s Government Affairs Committee (GAC), wrote a summary to a lapsed member specifically addressing ASCLS’s legislative participation. I will recall some of those highlights here. ASCLS does work closely with a lobbyist, Patrick Cooney. Mr. Cooney is funded by ASCLS. But he works alongside ASCLS members such as Mr. Panning and his committee as well as other ASCLS members participating in grassroots efforts. In 2014, GAC was able to lobby and restore funding to Title VII and VIII and the Workforce Reinvestment Act. Both provide additional funding to schools and workforce development centers. ASCLS is working with other Allied Health professions (physical therapy, occupational therapy, speech and language therapists and respiratory therapists) to increase awareness of an allied health provision under the Health Resources and Service Administration (HRSA) who recently restructured and limited its focus to nurses and physicians. It is noteworthy to mention that ASCLS and AACC were the only two laboratory organizations working on this effort. GAC, along with the clinical laboratory coalition, is also part of the continuing discussion regarding laboratory reimbursement as related to the new legislation, Protecting Access to Medicare Act of 2014 (PAMA). PAMA will change how Medicare officials determine prices for laboratory testing which is currently based on a fee schedule developed in 1984. PAMA transitions the current pay schedule to a market-based model which will significantly impact laboratories. Keep an eye out for updates. In past years, GAC has lobbied on laboratory workforce shortages, competitive bidding, and state licensure. It is important as members, especially when recruiting new members, to showcase the organization does truly represent the profession.